Our farm-fresh 1% buttermilk adds richness to any dish. Wouldn’t it being nice to add richness and creaminess to cooking and baking without adding a ton of fat and calories? 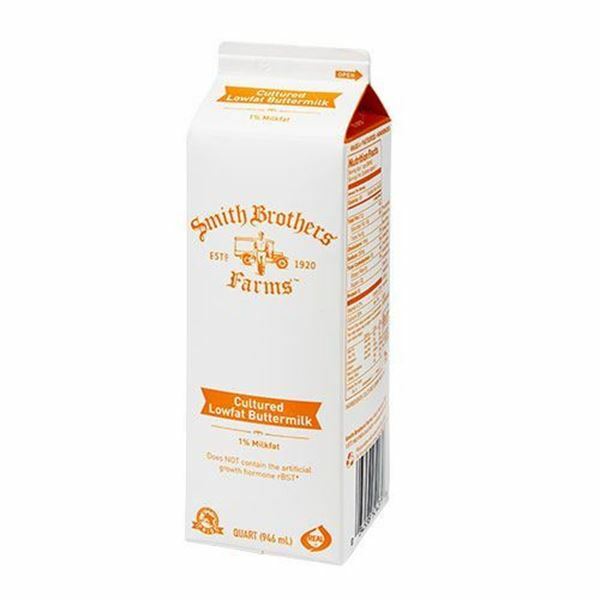 You can with Smith Brothers Farms 1% Buttermilk. Despite the name, it isn’t a buttery high-fat milk. Instead, the butter in the name refers to how it was originally made. While most people use buttermilk to make pancakes, it’s also great for biscuits, smoothies, and as a marinade for fried chicken. 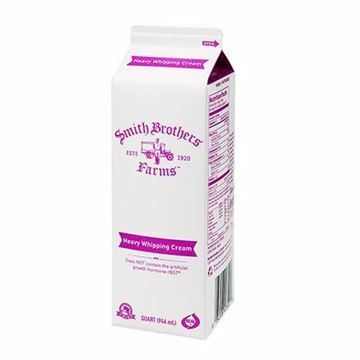 Our buttermilk is rBST-free and gently pasteurized for farm-fresh flavor your family will love. Heavy whipping cream made with 40% milk fat and gently pasteurized for farm-fresh flavor. Silky-smooth fettuccine handmade in Seattle. To make the best pancakes, you need the best buttermilk. And you've found it! SBF Buttermilk makes the fluffiest, best tasting buttermilk pancakes. High quality and delicious Buttermilk! Has amazing healthy benefits and many uses. Read up on Buttermilk! I love the taste of Smith Brother' Buttermilk. I drink it for it's probiotic benefits among many others. Also use it to soak raw chicken breasts to infuse the meat with moisture and flavor. Cook the chicken as you normally would. I also use it to replace half of the yogurt in my fruit smoothies and as a facial mixed with 1 egg and honey. Thank you Smith Brother Farms!